These hoists operate on a running beam, designed to clip to scaffold or for use with A-frame, for use on a gantry. 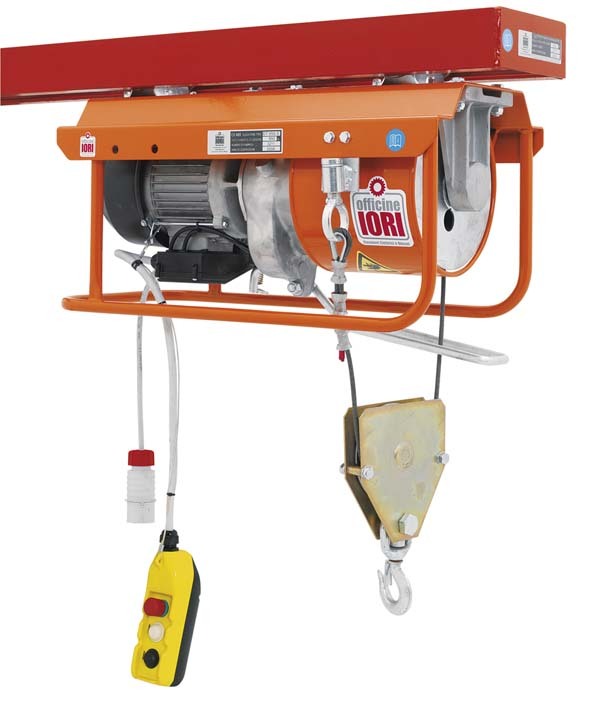 These excellent hoists are available in a variety of different weight capacities and power specifications from 300kg 110v Single Phase through to 900kg 415v Three Phase. Beams are available in 3m and 1.5m lengths and can be coupled togther for long runs where required. We can supply 110v Transformers, 60, 100 & 150 Litre Tipping Buckets, Lifting Strops, and Barrow Chains. Technical information on the hoists available can be found on the Technical Specification Sheets tab above, or by clicking the underlined product name below.